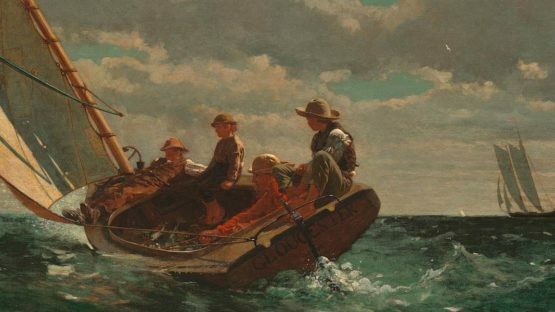 Winslow Homer was an American landscape painter and a preeminent figure in American art. He was born in 1836 and died in 1910. Homer is best known for his marine subjects and working in a variety of art media.